Crunched has that crunchy cinnamon flavor down to a T. A sweet sugary aroma followed by a calming hint of cinnamon. Puffed has a light chocolatey flavor that reminds us of that delicious chocolate puffed cereal. You’ll be puffing this chocolatey delight all day! Berried has a distinct berry taste that you will immediately recognize with a rich creamy exhale. You will be berry happy you picked this up. 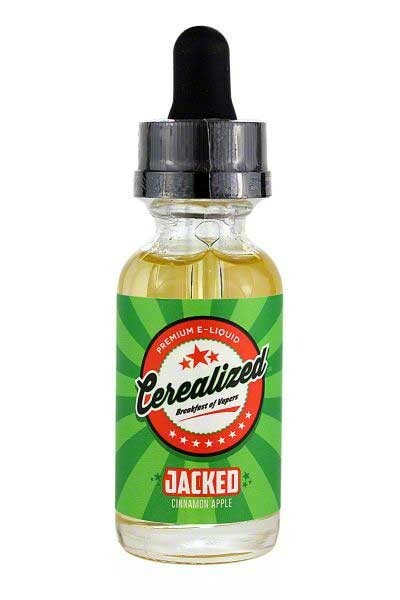 Jacked is apple cinnamon cereal perfected. A crisp, cider like apple on inhale with a warm cinnamon aftertaste. 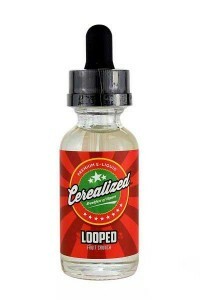 Looped is our version of that delicious fruity, O-shaped cereal. 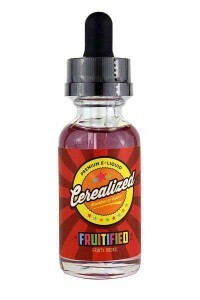 This is by far our fruitiest flavor ever. You won’t want to stop making delicious fruity smoke rings. 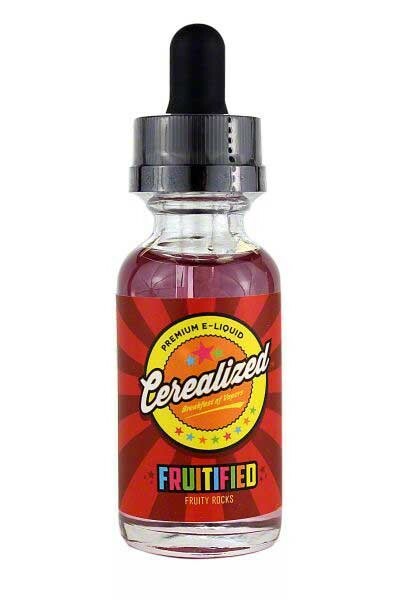 Fruitify your vape with this fruity rock cereal. A blend of cherry, lemon and a hint of berries will rock your vape.